New envoy asks UN for help in returning Nigeria’s stolen assets – Royal Times of Nigeria. Nigeria’s Ambassador/Permanent Representative to the UN Office and Other International Organisations in Geneva, Amb. Audu Kadiri, has sought the assistance of the UN towards expeditious return of the country’s stolen assets stashed abroad. Spokesperson in the Ministry of Foreign Affairs, Clement Aduku, on Tuesday in a statement said Kadiri made the call when he presented his credentials to the Director-General of the UNOG, Mr. Michael Møller, in Geneva. Kadiri specifically called on the UN Secretary-General, Antonio Guterres, to facilitate the return of Nigeria’s stolen assets. On the Security challenges in the Northeast occasioned by Boko Haram terrorism, Kadiri told the durector-general that Nigeria has made significant progress in the decimation of the capacity of the terrorists group. He also briefed the director-general on the recent of 83 of the Chibok girls as well as Government’s effort in addressing the emergent humanitarian situation in the Northeast. 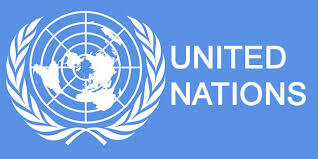 Kadiri urged the UN Secretary-General to use his good offices in facilitating the delivery of the commitments undertaken at the International Donor Conference for Nigeria and the Lake Chad Region held on Feb. 24, in Oslo Norway. Furthermore, the Nigerian envoy sought the up-scaling of the involvement of the UN agencies in bringing succor to the populations of the Northeast. The UNOG director-general who welcomed Kadiri, gave assurances to the envoy that his requests will be faithfully conveyed to the UN Secretary-General in New York. Beyond the usual courtesies and ceremonials, Kadiri and the UNOG director-general exchanged views on some of the key global issues on the front-burner of the Geneva diplomatic setting. These issues included Nuclear Disarmament, the Proliferation of Light Arms and Small Weapons, Sustainable Development Goals (SDGs), Human Rights and Gender Parity, Migration and Development, among others. In line with diplomatic customs to mark such occasion, a brief reception was held in the Residence of the Nigerian Ambassador to which important personalities from the Geneva diplomatic circle were invited. These included the Dean of the African Diplomatic Corps, representative of the Chairman of the African Group of Ambassadors and some prominent Nigerians in the high echelon of the UN Office and other international organisations in Geneva, staff of the Nigerian Permanent Mission and the Nigerian Trade Office in Geneva, among others.